For years, the banks have been responsible for low interest rates and high stock prices according to many analysts. 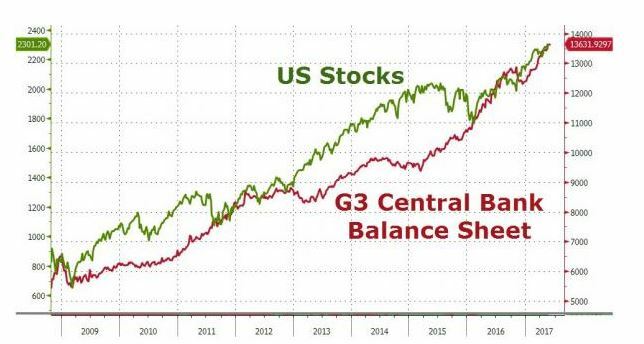 This view is shown in the chart below which refers to the three central banks as the G3. In the chart, the steady rise of assets held by the G3 largely tracks the stock market. This implies that the various quantitative easing programs pursued by the banks has resulted in an inflation of stock prices at the same time rates reached historic low levels. If this view is correct, as the Fed and the ECB take steps to reverse their accommodative money policies, the stock market is at risk. The Federal Reserve has been raising interest rates for some time and at its June meeting set the short term benchmark interest rate at a range of 1.75% to 2%. In a press conference after the meeting, the new Chairman, Jerome Powell signaled no dramatic about-face from the policies pursued under his predecessor. But, there are differences between Powell and his predecessors. Powell began his session with the news media with what he called a “plain-English” description of what the Fed had done and why, a contrast with the practice of his predecessors Janet Yellen and Ben Bernanke, both Ph.D. economists. Even after the increase, rates remain low by historic standards. 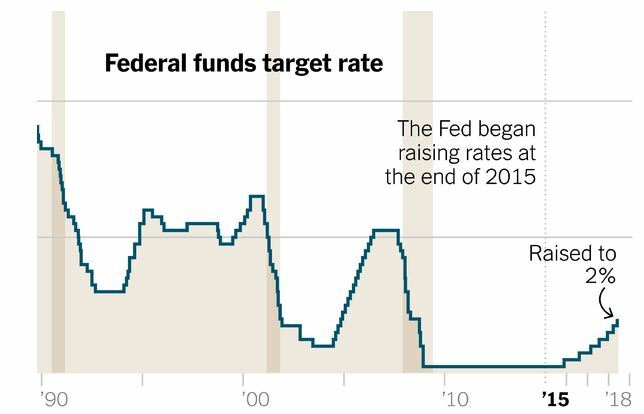 Analysts now expect two more rate hikes by the end of the year. This will help income investors to a degree even though income dependent on interest rates will remain relatively low. But, the hike in interest rates will not be welcome to all. MarketWatch noted “Consumers with credit-card debt will likely pay an additional $2.2 billion in interest payments annually, according to an analysis from the credit-card website CompareCards.com. To determine that number, analysts at the site looked how much those carrying a balance pay in interest, based on the current average annual percentage rate (APR). They used a 15.32% APR as a base, which rose to 15.57% after the hike. Higher costs of credit could slow consumer spending on discretionary items and slow economic growth. 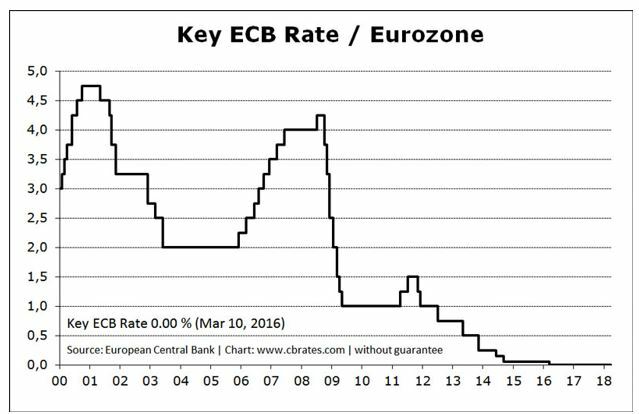 The ECB is also planning to be less accommodative. The bank expects to stop its monthly bond purchases beginning in October, planning an end of the program by the end of 2018. But, the ECB pledged to keep interest rates at ultralow levels at least through next summer, while ECB President Mario Draghi emphasized in his news conference that uncertainty surrounding the economic outlook was on the rise. In a statement following their meeting, the ECB’s Governing Council said it would continue to purchase €30 billion ($35.2 billion) a month of bonds through the end of September, as planned. Then, if data is in line with the ECB’s medium-term inflation outlook, it intends to reduce purchases to €15 billion a month through the end of December and then end them. The ECB left interest rates unchanged, as expected, with its main lending rate at 0% and the deposit rate on funds parked overnight at the central bank at minus 0.4%. This all indicates income investors could see significant volatility in the next few months. Some factors point to higher rates, for a time. This could mean that investors should consider locking in higher rates as they became available. The higher rates may not last long.